The Schaumburg Convention Center is attached to the Renaissance Hotel. Simply walk downstairs, across the lobby, and into the show. No shuttle busses or brisk walks outdoors. Beware rogue booking agencies. iLandscape nor the Renaissance Schaumburg Convention Center Hotel contract with any outside booking agencies. If you are contacted by any agency claiming to be affiliated with iLandscape – do not believe them and notify the iLandscape show immediately. Do not book rooms with an outside agency. iLandscape has only one host hotel (Renaissance Schaumburg Convention Center Hotel) and its reservations are managed by the hotel. THE ONLY way to book a hotel room for iLandscape is directly with the Renaissance Schaumburg Convention Center Hotel. Neither the Renaissance hotel nor iLandscape staff will ever call you directly to make a reservation! 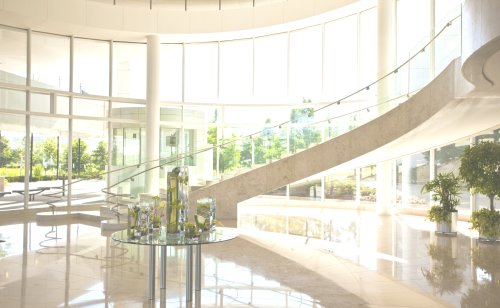 Experience refined style at the Renaissance Hotel in Schaumburg, IL where stunning design and architecture blend seamlessly with impeccable service for ultimate in refined sophistication. 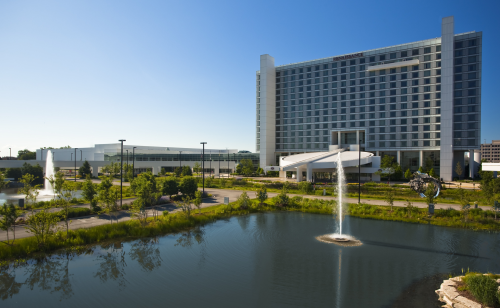 Discover modern sophistication from a hotel in Schaumburg featuring contemporary design that is expressive, yet functional at the Renaissance Schaumburg Convention Center Hotel. The accommodating hotel in Schaumburg, IL provides complimentary shuttle service to Woodfield Mall, featuring upscale shopping and dining options. 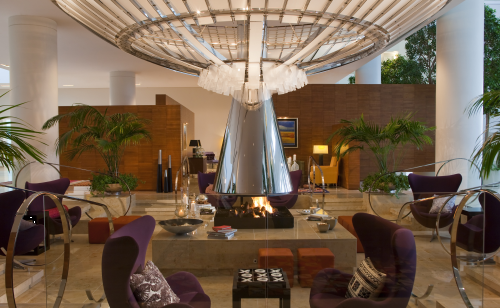 Designed by the renowned John Portman & Associates, accommodations boast spacious, yet modern rooms and suites with oversized bathrooms and a media connectivity center. Indulge your senses at the award-winning Sam & Harry’s, serving sizzling steaks and fresh seafood, or relax with friends, customers and co-workers in the stylish Gather Bar. Please note: Hotel rates are available exclusively for iLandscape exhibitors and attendees. This is the only hotel affiliated with the iLandscape Show. iLandscape and ILCA cannot guarantee room rates or availability by any other company, representative, or hotel. Hotel reservations made in any way other than through the online reservation or with direct contact with the hotel are at the risk of the individual.